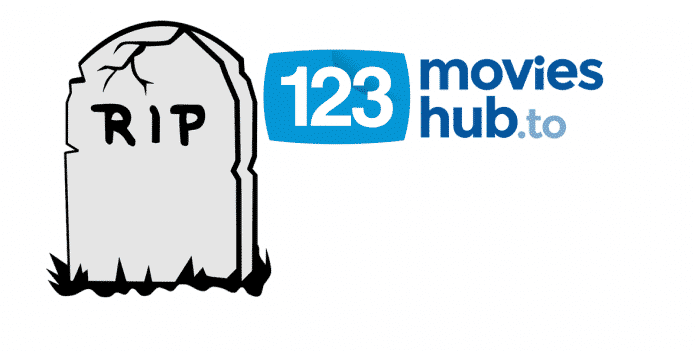 We had recently reported that 123movieshub, 123movies.is also known as GoMovies, the popular movie pirating website, has officially announced that they would shut down by the end of this week. The 123movies.is team had posted a message posted on the site, which read, “We’ve been providing links to movies and shows for years. Now it’s time to say goodbye. Thank you for being our friends and thanks for staying with us that long. 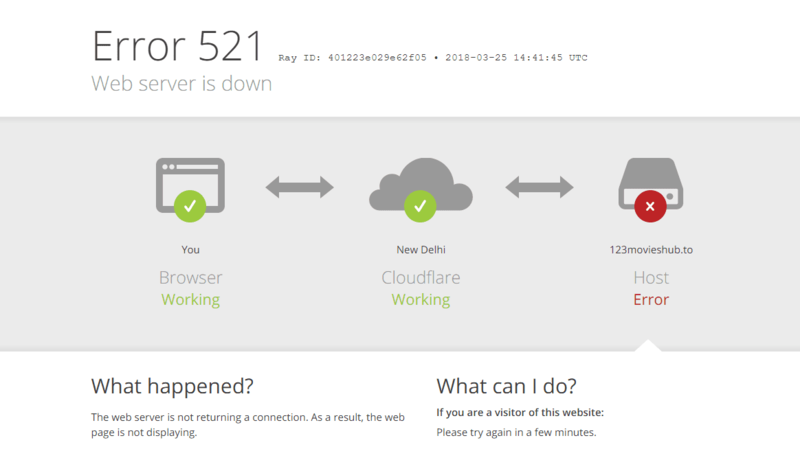 Currently, the 123movies site displays a Cloudflare error message 521, which means that the original web server (in this case – 123movies.is) has refused the connection from Cloudflare. With the 123movies site likely to go off anytime soon as per their official announcement, visitors can go ahead and use the following 3 alternate free movie streaming websites to continue watching movies which is similar to 123movies. This is the best alternative to 123movies.is, as it is one of the biggest free movie’s websites to watch online movies on the internet. Besides movies, MovieK also offers television shows and adult content. It is free and does not require registration. You can stream movies online and enjoy the fastest streaming speeds from genres which vary from comedies, action, adventure, classic and much more. 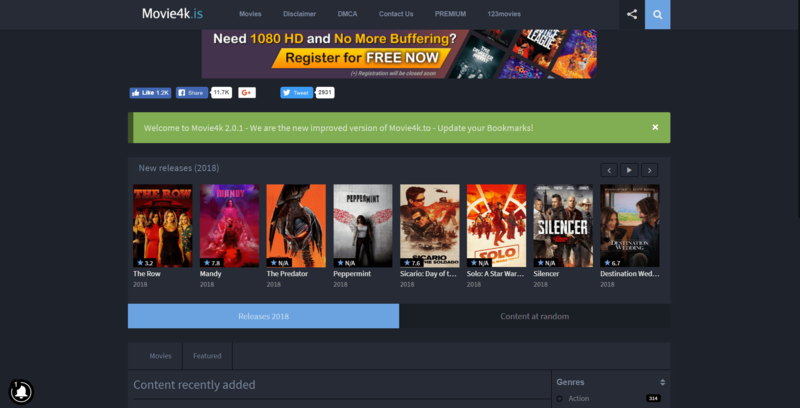 Each entry will show relevant information like genre, rating, length, IMBD, year of release and cast, that helps the user to decide which movie to stream. 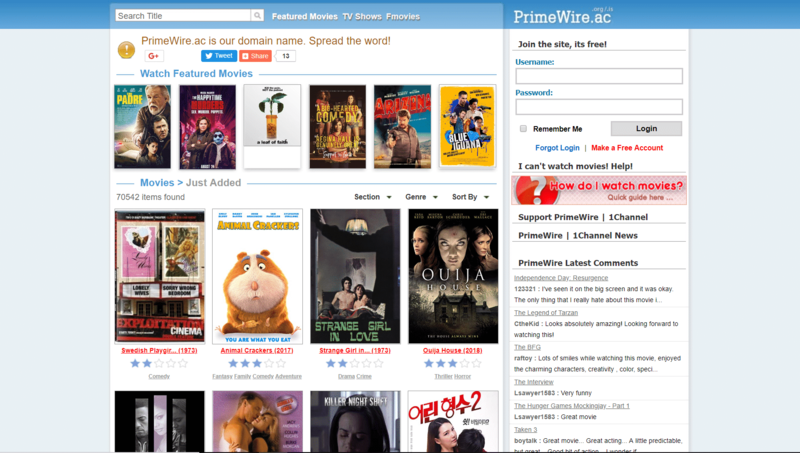 Another alternative to 123movies is PrimeWire, which has a free online index of hosted files and movies ranging from comedies to horror, and television series. Every movie on this site is linked to various video hosting websites, mostly more than 15 different ones. PrimeWire’s domain address has changed multiple times throughout its history, with the most recent domain seizure being the URL SPrimeWire.ag, which was suspended and transferred ownership under EuroDNS, by order of a Luxembourg court. 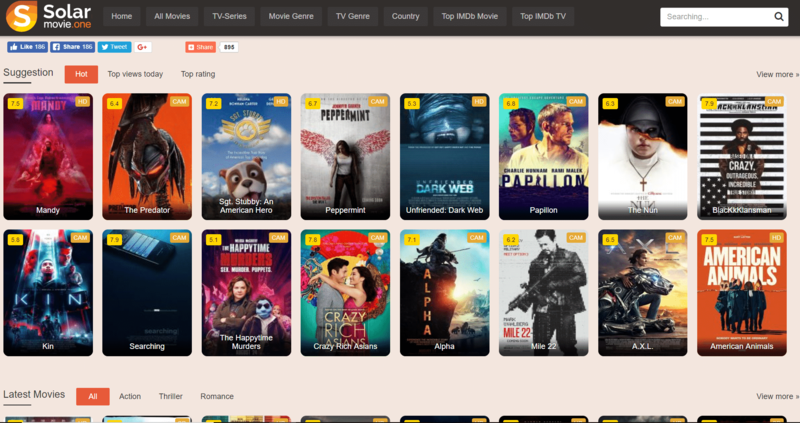 SolarMovie is yet another website that offers streaming movies and TV shows online for free. The service provides shows in HD format with no registration required and includes user ratings and details of each movie, which makes it easier for you to select the right movie to watch. The site also has a user forum where users can share and discuss opinions about movies and TV shows. The above three 123movies.is alternatives are best working free movie streaming websites right now. A word of caution, the above sites may change their domain names due to the very nature of such websites.